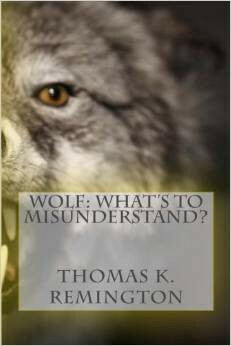 *Editor’s Note* – The editor would like to point out that he believes it is in error to state that introducing wolves, once again, to Isle Royale is “unconstitutional” and quotes the Tenth Amendment as the sole reason for such. The Constitution, for what it is worth, operates as a complete document not by picking only certain Articles to fit a narrative. While one might argue for or against the meaning of the Tenth Amendment, Article I, Section 8 is disregarded as well as the government’s bastardization of the Commerce Clause. Beyond this, the actions on Isle Royale with moose and wolves are but a reflection of the fascist, Marxist, Totalitarian, Collectivist society/government we have grown. A fellow-Minnesotan recently read what I wrote about Isle Royale National Park and it caused him to write the following question. My two responses follow and may prove helpful to urban residents that are unsure of the advisability of relying on federal and state bureaucracies when dealing with endangered species, government land holdings, and explanations of what they do. The spin I read is that as you see in this article “more wolves mean a better chance of keeping the island’s growing moose population in check.” https://www.mlive.com/news/index.ssf/2018/09/first_new_wolves_released_on_m.html. So, I’m not sure if 1600 moose on Isle Royale is a problem or not. There are many threads woven in this and similar wildlife issues. I will try to unravel a few in this article I write for both the concerned public and professional wildlife professionals. Wildlife, with the exception of those species named on a Treaty (i.e. for instance the Migratory Bird Treaties with Britain on behalf of Canada, Japan, Mexico and Russia) ratified by the US Senate and signed by the President of the US, are Constitutionally under the authority and Jurisdiction of the State wherein they occur. Federal natural resource agencies like the National Park Service (NPS), US Fish & Wildlife Service (FWS), US Forest Service (FS), and Bureau of Land Management (BLM) have, simultaneously with #2, been expanding their regulatory power, working with Congress to “tweak” (make small amendments in concert with other legislative matters like Budget Appropriations) the laws mentioned in #2 and expanding their manpower and budgets (higher grades, more bonuses, bigger retirement costs, etc.). Additionally, each year the federal government buys thousands to millions of more acres for the four agencies named above and, in both open and clandestine “partnership” (Grants, later purchase with markup) with the NGO’s – especially The Nature Conservancy – place untold acreages under permanent (No Use/No Management/No access etc.) Easements to both federal agencies and private NGO’s. Isle Royale National Park (Island) while a National Park is still just as much under the jurisdiction and authority of the State of Michigan as though you and I had purchased it. 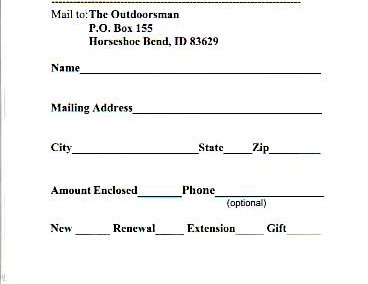 The only exception is that you and I would have to pay state and local taxes on the property while NPS (like USFWS, FS and BLM) cannot pay such taxes per the Constitution and thus pays an entirely discretionary amount annually (and sometimes not) called “Payment-in-Lieu-of-Taxes” or “PILT that is always far less than the tax burden for a private owner. You and I would have no more say about what animals were there or introduced or exterminated or hunted or otherwise meddled with under state oversight than if we owned a thousand acres bordering on Lake Minnetonka and thought to introduce free-roaming buffalo for hunting or resident Nene geese and Australian pochard Hardhead ducks for “safari” photography tours around the ownership. Yet, on Isle Royale NPS decides that they will manage Isle Royale for the (Non-Native) moose that were originally brought to the island by rich early settlers to provide food and “sport”. Further, NPS decides that wolves will be introduced artificially to “control” any moose population explosion. According to NPS brochures the wolves only came to Isle Royale in the 1940’s so they too are Not Native. Enter the silent partners in this saga, USFWS under the illusion of the wolves being “endangered” or “threatened” everywhere in the Lower 48 States, traps wolves and cooperates in caging and transporting them to Isle Royale. We are told that they were trapped in “Minnesota” but that is not true. They were trapped on and transported from the Grand Portage Indian Reservation, where, as any Minnesota walleye fisherman knows, “the state has no jurisdiction”. 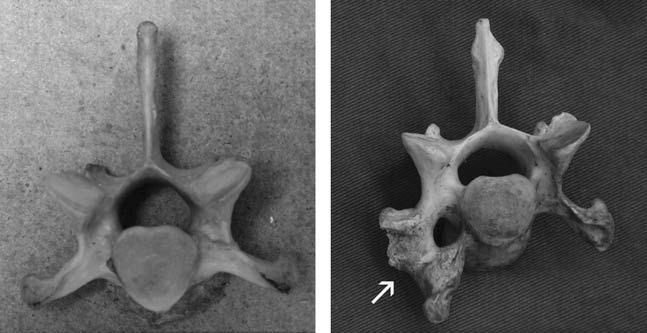 This little ploy was also used when Canadian wolves were caught and transported clandestinely to Yellowstone National Park (an early Park established before WY, ID and MT as States and therefore not subject to the jurisdiction of WY, ID, or MT) using $45 to 60 Million stolen by USFWS bureaucrats from state wildlife funds. Not only had Congress refused to authorize or fund the wolf introductions in the Upper Rockies, FWS additionally defied Congress by also shipping some of the wolves to an Indian Reservation in central Idaho for release despite the loud objections of Idaho residents and their State and Local governments. So, the truly “endangered” caribou that are all but extinct in the Lower 48 are ignored by FWS on this island where they occurred naturally 100 years ago, FWS (the enforcer of the Endangered Species Act) supports and enables NPS plans to make a (expensive to get to; all but impossible to get around in due to a Wilderness Declaration; and closed 5 months of the year) National Park into a rich folks fantasy land. If caribou were restored, wolves would even more (than moose) quickly extirpate them from the island but what business does NPS have to proceed with this moose/wolf ecosystem preference anyway? Why is the wolf considered a wolf valid “controller’ here on Isle Royale; when it is blamed for making a once-hunted (until recently) Minnesota moose herd only a remnant that no longer can support hunting or Upper Rocky Mountain elk herds all but a shadow of their former numbers since wolves were released, the wolf is denied as the culprit by federal and state bureaucrats and environmental NGO’s that blame “climate” or “ticks” or a lack of funding for the moose/elk demise everywhere but Isle Royale? What business does FWS have trapping wolves and helping transport them to the island? Is the MN DNR assisting in this FWS/NPS/Native American game of smoke and mirrors? Where is the Michigan DNR in all this? Why are they approving (or ignoring) this NO HUNTING federal scheme? If Non-Native Wolves are being introduced to “control” Non-Native moose; why would Michigan simply ignore a gold mine of revenue for moose hunting when the Island is closed anyway each fall until next spring? If NPS doesn’t want to cooperate on “their” island – FWS and NPS really have NO JURISDICTION to introduce wolves on the island without a Michigan permit since it is not a valid “ESA action. Michigan like most other Lower 48 States no longer have DNR’s that even imagine standing up to federal wildlife actions. Minnesota hasn’t met a federal action in 50 years that it did not rollover for and wag its tail. So, although ISLE Royale is unpopulated, this sort of “Me Federal: You State” Tarzan-like wildlife management and federal land management rolling over State and Local authorities and jurisdictions are simply accumulating legal PRECEDENTS when at some future date some poor rural schlub stands up in some “Hearing”, or writes a letter to FWS or NPS, or even goes so far as to hire a lawyer to “defend” his and his State’s Rights and is told by some federal bureaucrat, or federal politician or some judge (“from the right court”) that this was all settled in the Isle Royale moose and wolves Decisions years ago! The magical qualities of certain wildlife species (the howl of the wolf and the honking of migrating geese are two prime examples) are being dissolved by federal oversight. Resident Canada geese were bred and released by federal biologists in Jamestown North Dakota in the 1950’s. Today millions of resident Canada geese throughout the Northern Lower 48 States are little more than infectious vermin in cities, on golf courses, in urban waterways, urban parks urban schoolyards and urban playground In all honesty, those early wildlife “scientists” thought they were doing God’s work with not the slightest inkling of what they would wrought It is the same with federal “science” giving sainthood to wolves, grizzlies, and encouraging state to do the same for mountain lions. 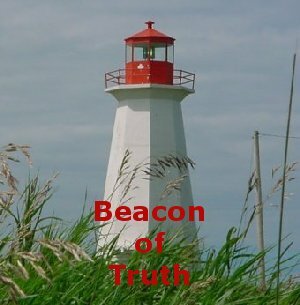 What was once a rare glimpse or sound to stir the soul is now a note of fear for ranchers, hunters, dog owners, parents, school teachers in rural America where these animals are forced on a populace that has no recourse under sterile State governments and gradually disappearing Local governments to represent rural American problems (Trump?). Giving these large predators carte blanche federal/state protection in the settled landscapes of the Lower 48 States is a travesty to human dignity and scientifically is like the resident geese wintering in a park or schoolyard. Geese should migrate and any large predator in The Lower 48 States should be legally classified as subservient to and treated as subject to immediate consequences when destroying or threatening any human or human endeavor. There is one more aspect of this Isle Royale saga that I should mention. First, I believe it is more likely than not that some NPS guy or guys trapped and transported those first (1940’s/50’s) wolves to the island. You did not have to have “scientific” training in those days to realize that if you just bought an island full of moose and you were absolutely committed to NO HUNTING or wildlife management (only “observation”, “interpretation”, and “study”) that you somehow had to keep moose numbers down or watch the island turn into some sort of Falkland Island suitable only for seabird nesting (albeit 1,000 miles from the sea). However, whether the NPS’ers brought wolves to the island or even supplemented their gene pool occasionally and clandestinely (if you doubt that look no farther than the wolves trapped and transported from a non-disclosed location in Canada, brought into the US without Importation Documents or declared origins and financed by stolen state wildlife program funds for release in Yellowstone and an Indian Reservation in Idaho by USFWS) is immaterial for purposes here. Trapping and transport, probably with the willing collusion of FWS, Grand Portage Reservation managers and the MN DNR (each of whom are and were for a long time in a quid pro quo relationship over Isle Royale as some sort of scientific-tourist “laboratory” remains very likely. When the first wolves arrived, they encountered a very robust and by all accounts over-population of food, i.e. moose. Like German submariners off the coast of the US in the first 5 months of WWII, wolves would no doubt recall (if they could) those times as what those German submariners called “The Happy Times”. Wolves ate good, moose meat is very healthy, and the numerous moose were and always are (see Alaska or Siberia) particularly vulnerable to wolf predation. Puppies galore grew up without any problems. Imagine such a high moose population after 10-20 (?) years absorbing that predation from the growing wolf population, so the moose stay numerous and the wolves increase and increase in a cornucopia of food. 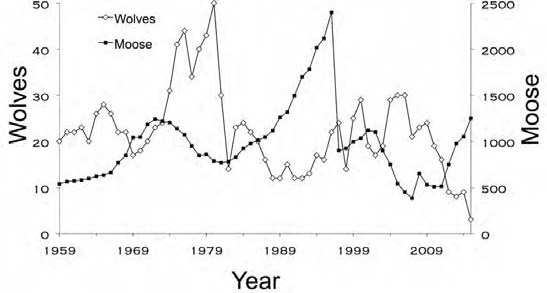 Then the wolf predation starts to overtake moose production disrupting the equilibrium and the moose decrease as the wolves keep increasing because there are still plenty of moose around albeit growing harder and harder to find. Moose begin to decrease steadily. 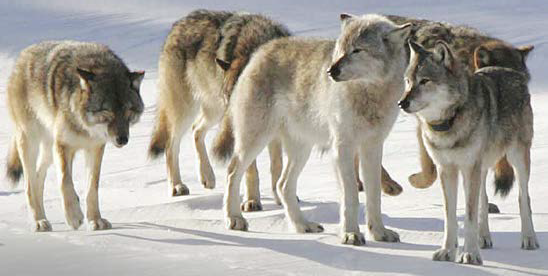 Wolf competition and deadly aggressive encounters increase as food availability decreases. Moose numbers begin to “plunge” and soon wolf stress increases as wolves begin to decrease while NPS, FWS and MN DNR burble about “interbreeding” suddenly appearing and concern about moose “recovering”. The low wolf numbers and an apparent slow moose increase becomes fantasy fodder for kid’s books and tales about “Mother Nature in Lake Superior, Gaia be praised”. In actual happenings, the moose start to slowly recover because the remaining wolves (the last of a dwindling population without food, i.e. moose) must expend more calories finding and killing a moose. Recognizing that the public expects more than “slow” or “no” moose recovery, government stands ready to “do something”. This scenario was the culmination of the moose population “plunge” that began with the first “ice-crosser” wolves back to the mainland, where at least one was shot on the Indian Reservation, in the late 1990’s. It finally became undeniable over the last 10 years. It took 60 (?) years. Now the Romance of Large Predators obsessing urban Americans today gets a boost from the current government program to “Save” the Wolves of Isle Royale to great fanfare. I probably won’t live to see this, but you may, otherwise I would make a bet that this next “bring in the wolves and watch the moose disappear” cycle will (without any more clandestine government intriguing) take 30 years or less. 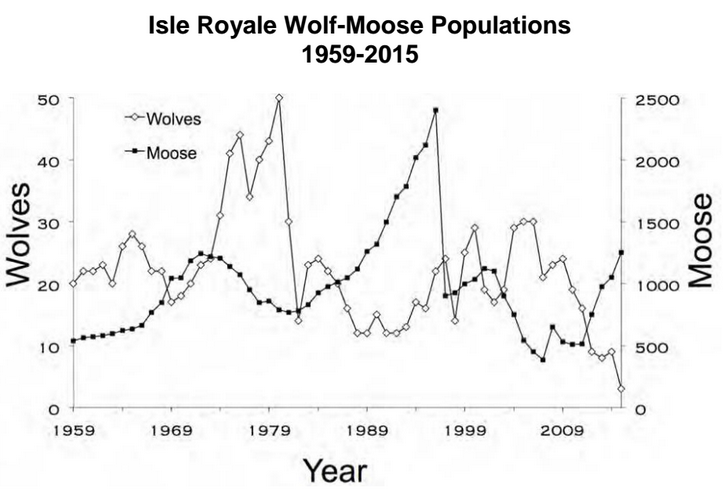 The reason being that these few wolves are being released on an island with a recovering moose population that will, much sooner than when last wolves “arrived” on the island, see its increasing moose numbers losing ground to wolf increasing much sooner due to a lower food supply for wolves. 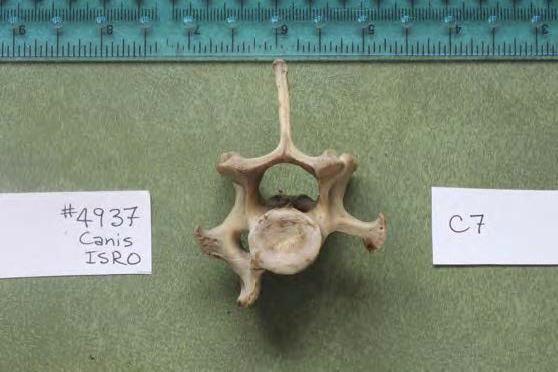 The period of quasi-equilibrium will be shorter because the moose population will be starting from a lower level than those Post-WWII years arrivals. None of this is “natural”. The irony is that it will be heralded as such (as well as legal) and be used for propaganda in the schools, legal precedents for more federal government mischief (too weak a word), and by a plethora of NGO’s bent on destroying Rural America as part of the Socialism apparently sweeping the country and bent on mimicking the likes of Cuban, Venezuelan and Russian governance. If we listen to those who assume the high ground and are the only bearers of “Best Available Science” we are told that moose are struggling to survive in several places across the country and it’s all, directly or indirectly, being caused by global warming. But don’t think for a moment it is exploding because there’s only two wolves left alive. No, no! It must be that somehow, the two remaining wolves have “magically,” as their magic has no bounds, reversed the effects of global warming and thus are growing more moose to kill and eat. According to the same “High-Grounders” because there are now more moose, the result of the wolves’ magic, more magic will take place in that wolves will rebound because there is more food. Seeing all those moose causes their reproductive organs to go bonkers. Let’s hope the wolves aren’t too busy moving rivers to save the birds. And even though disease and inbreeding killed the wolves, we know the moose have no diseases and there are no “weak and sickly” ones left because the moose magically took care of that. Maybe it’s time that we look very closely at these magical moose such that Al Gore can spread them across the entire planet to spare us all from the devastation of global warming. Maybe they will even magically kill the sickly and weak among the people. Think of the money we could save. The National Park Service (NPS) has prepared a draft Environmental Impact Statement to Address the Presence of Wolves at Isle Royale (draft plan/EIS). Because your feedback is essential to the development of the EIS, we are asking for your thoughtful review and comments during the 90-day comment period, concluding March 15, 2017. The purpose of the draft plan/EIS is to determine whether and how to bring wolves to Isle Royale to function as the apex predator in the near term within a changing and dynamic island ecosystem. A decision is needed because the potential absence of wolves raises concerns about possible effects to Isle Royale’s current ecosystem, including effects to both the moose population and Isle Royale’s forest/vegetation communities. You are encouraged to comment on the draft plan/EIS through this website. Comments can be made by clicking on the “Open for Comment” link at the left side of this page and selecting the document and then clicking “Comment Now” button. You may also mail or hand-deliver your written comments to Superintendent Phyllis Green, Isle Royale National Park, ISRO Wolves, 800 East Lakeshore Drive, Houghton, Michigan 49931-1896. The NPS will schedule public meetings to be held during the comment period in the Great Lakes Region near the park. Dates, times, and locations of these meetings will be announced in press releases and on this site, see Meeting Notices on the left side of this page. To view the Draft Environmental Impact Statement, click this link. *Editor’s Note* – I brought to readers’ attention yesterday that environmentalists have petitioned the U.S. Fish and Wildlife Service for Endangered Species Act protection for moose in Michigan, Wisconsin, Minnesota and North Dakota. The regions of Michigan included in the petition involves Isle Royale. Does it make sense or is it irresponsible to introduced and perpetuate a wolf population on Isle Royale, the only real threat to the moose when at the same time petitioning the Feds to place the moose under Federal protection? You just can’t make this stuff up. Taking the closer look does not necessarily mean the park service is leaning toward moving more wolves to the island, Superintendent Phyllis Green said. But internal discussions and public comments have led staffers to drop consideration of alternatives for keeping moose numbers in check through methods such as hunting, as opposed to maintaining the reliance on wolves as predators. The following link to a New York Times article from 1907 should be considered by all those currently living in wolf country; those living in soon-to-be wolf country; and those supporting the forcible use of unjust central power to force wolves on their neighbors and fellow citizens. When I try to explain to fellow Minnesotans the role of dense wolf populations on the disappearance of moose and deer, they smirk and sneer. They talk of global warming, ticks, unspecified diseases and the need for more research. Newspapers, Universities (especially the U of Minnesota and the U of Wisconsin that are true hotbeds of environmental/animal rights extremism), and State wildlife agencies that have become clones of these State Universities all avoid the mention of wolf predation and identify anyone questioning this as an uninformed crackpot. Nonetheless, consider how everyone accepts the “fact” that year-around wolf predation on Isle Royale, an island far offshore in Lake Superior, steadily accounts for the disappearance of moose. This romantic notion of “Mother Nature” at work makes the very efficient but gory killing of calves, pregnant cows and adult moose by wolves into a “natural” and entertaining children’s story. The same scenario when proposed by hunters, trappers, ranchers, elderly rural residents and others regarding wolf effects on deer and moose in Minnesota, Wisconsin and Michigan is merely proof of “old”, uninformed and anti-social political incorrectness. – Wolves kill moose and deer, reducing them to levels that will not sustain hunting. 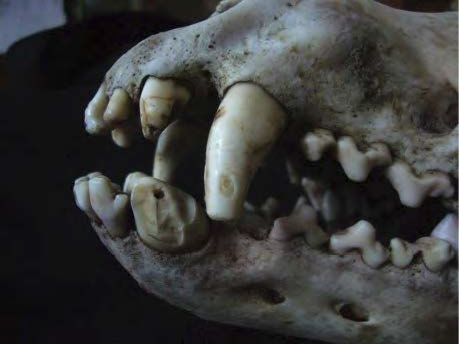 – Wolves spread over 30 deadly and destructive diseases to humans, wildlife, livestock and dogs. – Wolves are dangerous and deadly threats to children, the elderly, dog walkers, hikers, and a wide array of rural residents and recreationists. The thing to remember about wolf predation; whether on an adult moose caught in a snowy woodland by a group of wolves, a pregnant cow moose giving birth caught by one or more wolves, a doe deer and fawn run down by a couple of wolves – IT IS ADDITIVE to whatever else is happening to moose and deer. Even if you accept global warming (I do not) or think maybe ticks or some errant and unknown disease has just popped up (each of which I find unlikely as significant until I see evidence I can trust) – wolf predation is steadily more and more efficient as wolves learn (just like that dog in your backyard) AND IT IS ADDITIVE! Consider again that 1907 NYT article. In addition to what we deny as it is all around us today, weather phenomena like the winter snow depths, snow characteristics, and snow duration can and will create an environment wherein suddenly wolf predation both for food and for the joy and fun of killing (even dog packs will kill a large number of deer in snow or sheep by cliffs for “fun” and “excitement”) will dramatically reduce the number of deer and moose regardless of the “experts” protestations to the contrary. When wolves are not kept at very low densities or eradicated from regions inhabited by people like the Lower 48 States or Europe, what happened in 1907 will happen again and again. This article is about but ONE of many reasons wolves were eradicated in The Lower 48 States and Europe by our wise and determined ancestors. Some say Santyana was paraphrasing the 18th century Irish statesman, author, orator, political theorist and philosopher Edmund Burke who observed, “People will not look forward to posterity, who never look backward to their ancestors.” Posterity is truly what we no longer concern ourselves about as abortion, birth control, births out-of-wedlock and non-child-oriented marriages proliferate in these very same American and European societies looking to secular morality and self-gratification in matters like “restoring the native ecosystem” and returning large predators to settled landscapes no matter the human costs. In either case, both men were telling us to heed the lessons of history. In the case of wolves, environmental extremists and self-serving politicians and bureaucrats have not only denied history: they have perpetrated a great crime against Americans and Europeans in a way that relieves them of responsibility for their actions and the terrible fruits of their crime. Although I enjoy a good joke, I don’t generally share them with a wide audience but this is an exception. * After 30 + years of Minnesota “scientists, bureaucrats and self-righteous environmentalists” warbling incessantly about the marvelous wonders of nature’s “apex” predator (i.e. the wolf) REDUCING the moose population on Isle Royale National Park since the wolf’s vaunted passage across an 18 mile “ice bridge” on Lake Superior from Minnesota 50 years ago. * After constant annual newspaper articles about how vegetation has “returned” and “recovered” and blossomed (so to speak) on Isle Royale since the wonderful wolves REDUCED the moose and thus relieved the pressure on the plant life that was never quite so important or desirable that hunting to MAINTAIN the desirable numbers, distribution and density of moose (as well as support other wildlife management on the Park and in the State) to achieve the highly stupendous plant communities that are so touted from sea to shining sea. * After 15 + years of explanations by “scientists, bureaucrats and self-righteous environmentalists” in annual newspaper articles about how there was ABSOLUTELY NO RELATIONSHIP between the steady disappearance of moose on the Minnesota mainland and the steady increase of protected wolves throughout the range of the mainland moose until the recent permanent closure of moose hunting in Minnesota. * After 10 + years of “scientists, bureaucrats and self-righteous environmentalists” out West in Yellowstone Park and Idaho/Montana surroundings copy-catting this scam by denying wolf numbers they found politically-incorrect; inflating elk and moose numbers with lame excuses about census-affecting weather anomalies, changing migration patterns and bad Karma; denying vehemently that the simultaneous loss of elk and moose hunting that coincided with the introduction, protection and spread of wolves were related. * After 5 + years of watching Minnesota, Montana, Idaho, Oregon and Washington wildlife bureaucracies claim “slightly increasing”, “steady” or “declining” wolf populations as hunters, ranchers, dog owners and rural residents’ screams and objections have reached crescendo levels it is becoming evident that “trust” is not a word to be mentioned when discussing “scientists, bureaucrats and self-righteous environmentalists’ and “wolves”. Keep in mind that even estimates of annual changes for (notoriously hard to count) wolves are only slightly easier to generate than “counting” the field mice in the state, much less to fabricate these”nine-hundred and eighty-THREE” or “three thousand eight-hundred and sixty-two” wolf “count” placebos for friends and foes. 1. Moose “COME BACK” after being decimated by wolves. 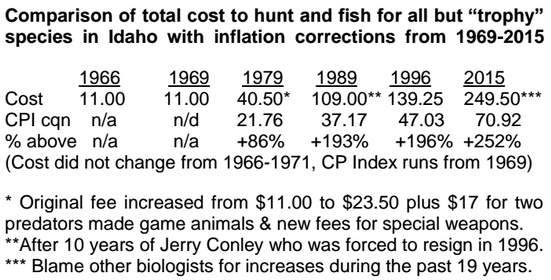 So quit whining hunters and admit the “scientists, bureaucrats and self-righteous environmentalists” were right. Take up curling and TV for a couple of years and everything will be back the way you once had it. We’ll call you when it happens. 2. Wolf numbers decline and STAY LOW. So shut up you ranchers, dog owners, parents and rural residents and recreationists: you don’t know what you are talking about! Either take the easements we offer and live as we say or move elsewhere. 3. Soon, wolves and moose (and elk, deer, wild and domestic sheep , goats and cattle, et al?) will be “in balance” and everyone will be happy. 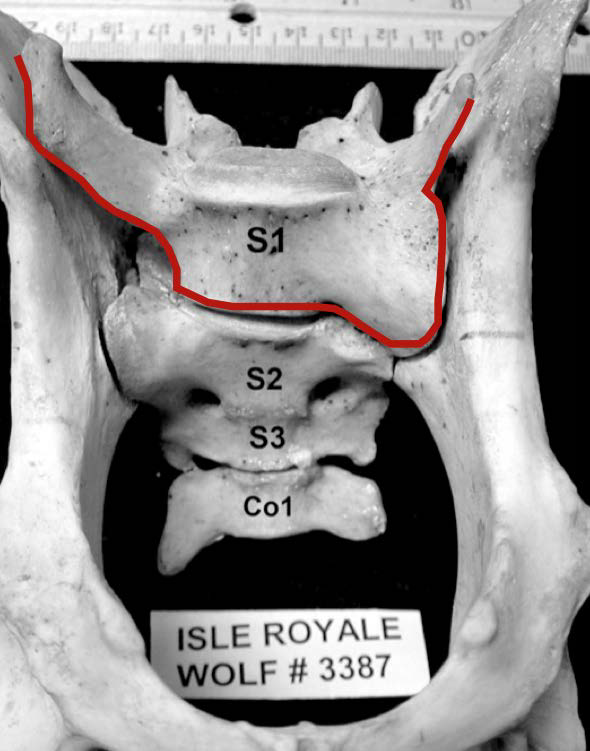 Those wolves and moose on Isle Royale are as comparable to mainland American, Canadian and European wolves and their impacts as are articles about Russian landowner/peasant relations in the Middle Ages relevant to modern US college athlete lawsuits to unionize college athletes for pay and collective bargaining rights from University administrators. Isle Royale wolves have no – deer, elk, horses, foals, cows, calves, dogs, domestic sheep and lambs, bighorn sheep, rural garbage pits, nighttime rural town and residence yards and outbuildings, school bus stops, sleeping campers, etc., etc. to shift to when the clearly vulnerable moose cows and moose calves get scarce (due to??). The answer is “wolf predation”. They also do not have constant genetic infusions from dogs, coyotes and every manner of Canid attracted to females in estrus from miles and miles in every direction as do the wolves on the mainlands. Articles like the one below are so absurd as to be humorous. They are probably written by activist government employees and writers that moonlight under nom de plumes of romance novels written for young girls and what sailors once referred to as “skin books”. I recommend you dismiss such romance propaganda but if you read it, read it for the unintended humor it contains and imagine Jay Leno or Jimmy Fallon explaining it. Remember all this as deer and elk disappear and wolves get more and more “bold” around settlements and dogs become liabilities and ranchers reduce herds and rural towns decline further. Remember Isle Royale and laugh. After reading the article following this one about poor “Isabelle”, “a loner that had been bullied”, it took me several seconds to compose myself. When I had composed myself sufficiently to think clearly once again, several questions came to me and I was at a loss for answers. If all these things and more occurred, would we read about it in these terms? Would the article begin with a stunning picture of “a gray wolf known as Isabelle takes refuge last year on an icy bluff over Lake Superior to lick her wounds after being attacked by other wolves”? Would we be treated to a picture of frolicking wolves? Would the wolf’s death be described as a “fluke thing”? Would the “howls” (pardon the pun) from wolf-lovers from Minneapolis to San Francisco and UN Headquarters be as non-existent? Would the “researchers” that “named her Isabelle” be as quiet and understanding about “her” demise? Would the Native, federal and state law enforcers blithely tell us they “won’t try to identify the shooter”? Would there to be no future education/assurances that this will not be repeated? Would the crime serve as a platform for the trite and worn-out lie that although wolves have “ helped keep the moose population in check, preventing them from overbrowsing park vegetation” on Isle Royale, wolves and predation have NO EFFECT on disappearing moose and deer on the Minnesota mainland. Period! Of course we all know that if one of those non-Native perpetrator instances I noted previously happened, all $%#& would break loose. There would be calls for gun control, investigations involving families, property and destruction of one or more citizens. We would be swamped with New Yorkers and Parisians telling us about “apex” predators, “native ecosystems” and rivers no longer meandering (due to all the thick bank vegetation since no herbivores, wild or domestic, are left). The perpetrator would be described as some rural bumpkin that abused animals as a child and who should be locked up to protect society from any further depredations. We would all live in mortal fear until dear Isabelle’s niche in the ecosystem was once again filled. Descriptions of the incident would be used in school classes as an example of why more laws and more government enforcement are necessary. Instead, it is treated as some historic fairy tale without a scintilla of critical mention of the way the crime is no longer the subject: The perpetrator and the fabricated moral of the story determines how or if it is to be told. Welcome to George Orwell’s Animal Farm, some animals are indeed more equal than others. If any rural people are reading this, please note “The Grand Portage Band prohibits hunting or trapping wolves on its territory but allows people to chase away or kill those creating a nuisance”. Is this not what rural Americans (since both the Original Colonies and the Founding of our nation) have found to be how wolves should be administered in rural America -BY COUNTIES – the Local and most responsive level of government (called Subsidiarity) under the protection of responsible State governments? Is this not what Europeans are discovering about expanding wolf populations under EU/UN bureaucrats and less than protective national governments? 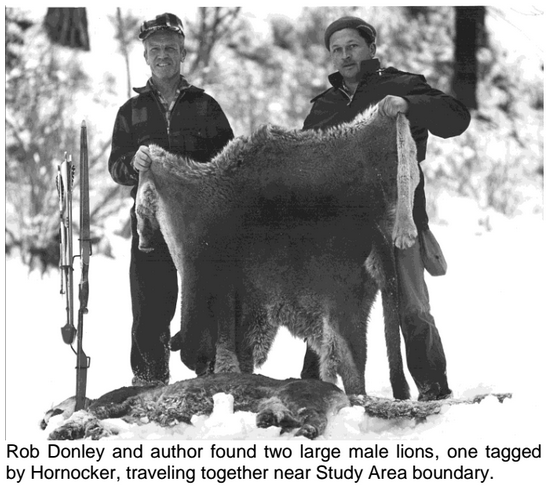 If what Native Americans can and are doing in-line with their culture and historical interface with the natural environment to “live with” wolves by successfully prohibiting “hunting or trapping wolves” while “allowing people to chase away or kill those creating a nuisance” works and is tolerated; why can’t or shouldn’t Counties follow this example? Since state governments are proven notorious cowards about protecting rural residents from deadly and dangerous wild animals of interest to federal interlopers and far-off urban dandies, forget about state licensing and state revenues – let Counties define “Nuisance” as broadly as they want to loose their residents and their agents with a broad range of “Nuisance Eliminator” devices and means. Evidently this sort of Native American wolf “management” works for the urban newspapers, state and federal bureaucrats and all their wolf enablers. One might say, what is good for the Native American should be good for the non-Native American. Besides, after years of reading about how Native Americans live and have lived in “harmony” with Nature; I for one can only say we should emulate this ancient and honorable system that probably goes back as far as that other famous bridge, The Land Bridge across the Bering Straits between Asia and North America. Ancient Egyptians credited Isis with the oversight of order, law and custom. Hellenic people first depicted their God of order, law and custom as Dike, the daughter of Themis. She was the first shown with a sword (for power), a blindfold (for objectivity) and a scale (to measure support and opposition). Romans gave this concern to their Goddess Lustitia or Lady Justice. Lady Justice has since appeared on coins and in front of courts and courthouses from Berlin to Seattle and beyond. As I close with the question to the newspapers, bureaucrats and enviro-tyrants “are you honest?” allow me to suggest a replacement for Lady Justice on the basis of the wolf travesty you are perpetrating upon rural North America and rural Europe. I suggest a 200lb/kilo drooling baby in a diaper with only a sword (no blindfold and no scales), swinging the sword at anyone who will not feed him. That is how the media and bureaucrats in servitude to eco-tyrants really “weigh their options”. What do you think? Just asking.